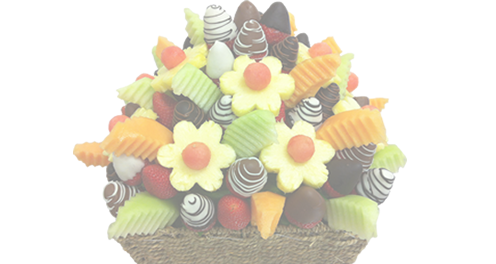 Our fruity bouquets are beautifully packaged and delivered to your home, office or event. *We recommend that you place your Fresh and Fruity bouquet or product order in advance – at least a day or two before delivery is needed as sometimes same day orders are not guaranteed. For same day deliveries MONDAY TO FRIDAY, orders need to be placed before 9am that day* (subject to availability). If you order for same day delivery the bouquet will be delivered in the afternoon or evening. **If orders are placed over the weekend, they will be delivered on Monday. For deliveries MONDAY to FRIDAY during DECEMBER, orders must be placed by 4pm THE DAY BEFORE your delivery date. Fresh and Fruity offers a delivery service to most of the Melbourne metropolitan area with delivery of $10 to most areas. MELBOURNE DELIVERY ONLY – some outer suburbs are NOT AVAILABLE*. *These are some of the suburbs NOT AVAILABLE – Sunbury, Melton, Werribee, Hoppers Crossing,Tarneit, Roxburgh Park, Craigieburn, Epping, South Morang, Pakenham, Mornington … please call to check your delivery suburb. Containers may vary according to availability. During peak periods such as Valentine’s Day, Easter, Mother’s Day, Father’s Day and Christmas, all orders should be placed in advance to ensure the delivery date you have requested. Also, due to large volumes of orders that we are delivering at these times we cannot guarantee any times for deliveries. However, we will endeavour to have your orders delivered as close to your chosen time as possible. It is the responsibility of the customer to inform Fresh and Fruity if an order does not arrive. Once we learn an order has not arrived by the due date, we will enquire with our courier to ensure delivery occurs as soon as possible. We will not be held liable for any loss or damage resulting from late delivery. Please note that if an item has been lost in transit, we will not dispatch a replacement item immediately. Replacement items will be dispatched according to our discretion. We will not accept liability for any loss or damage arising from items lost, stolen or damaged after delivery has taken place.